PLEASE READ THIS KYC POLICY CAREFULLY BEFORE PARTICIPATING IN THE TOKEN SALE. BY REGISTERING WITH Goods Digital Passport YOU CONFIRM THAT YOU HAVE READ AND AGREE TO THIS KYC POLICY. 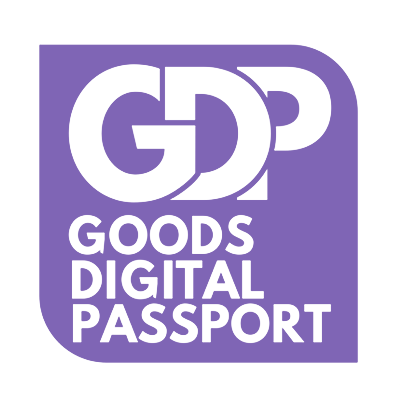 Goods Digital Passport is committed to prevent the use of GDP tokens and Goods Digital Passport products and services for illegal purposes. This Goods Digital Passport “Know Your Client” Policy is a key component in the program to prevent and detect money laundering, terrorist financing, fraud and identity theft. Know Your Client” (‘KYC’ ) is an ongoing, risk?based process of identifying the participant of Goods Digital Passport token sale (the ‘ Participants ’, ‘ you ’, ‘your’ or ‘yours’ as appropriate) and verifying the Participant’s identity on the basis of documents, data or information in order to detect suspicious activities according to AML/CTF regulation, meet other legal and regulatory obligations, determine the Participant’s residence and/or location, and prevent fraud. Goods Digital Passport may introduce and maintain verification levels (e.g. basic account, advanced account, etc.) based on the information and documents you have provided. Such ranking may affect how much GDP tokens you can purchase or your rights to withdraw GDP tokens. other information requested by Goods Digital Passport in order to complete the review). You have to ensure that the scans of the documents are of high quality and that the edges of the documents are clearly visible. information and documents sufficient for Goods Digital Passport to identify and verify the beneficial owner, including, the ownership and control structure of that legal entity and the KYC information and documents in regard to the beneficial owner. other clear evidence that would support ‘affordability’ in relation to your purchasing activities with Goods Digital Passport. Goods Digital Passport will refuse to enter into or continue relationships or conduct transactions with a Participant who does not provide requested information and documents or provides false, inconsistent or conflicting information where the inconsistency or conflict cannot be resolved after reasonable inquiry. Goods Digital Passport may suspend your account, the GDP tokens will not be distributed to you or you will not be able to withdraw your GDP tokens until Goods Digital Passport is able to obtain the requested information and/or documentation and the KYC process is completed satisfactorily. If you do not complete the KYC identification or verification your funds will be returned to you subject to the provisions of the Terms, this KYC Policy and applicable laws. report any criminal or suspicious activities to the appropriate authorities. Goods Digital Passport may use subcontractors to perform certain KYC functions.